PyratineXR Lotion is a clinically proven formulation that helps redness and inflammatory acne lesions associated with rosacea and acne. As the formulation contains advanced cytokinin technology, it can also be used for dealing with signs of ageing such as fine lines, wrinkles, hyperpigmentation and spider veins. 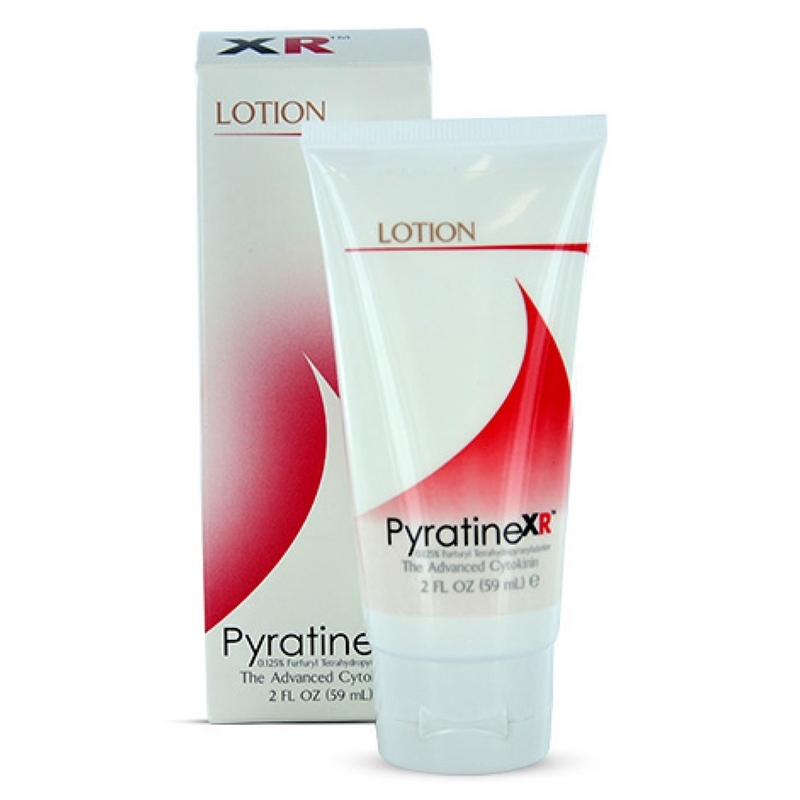 With PyratineXR Lotion you can enjoy the benefits of an anti-aging, an anti-inflammatory and a moisturiser together. Now you don’t have to shelve your cabinet with three different products. Whether you have rosacea, acne, eczema or have sunburnt skin, this lotion is ideal for helping to improve skin texture. Deal with rosacea symptoms and signs of ageing with an all-in-one lotion from PyratineXR. This formulation has been clinically proven to help reduce redness, fine lines, wrinkles and spider veins. Thanks to its moisturising properties, the lotion helps to restore the skin barrier function and helps repair rough, patchy skin and hyperpigmentation caused due to sun damage. Whether you have oily skin or are living in more humid climates, this lotion will suit you as it is quickly and easily absorbed into the skin without leaving any greasiness. 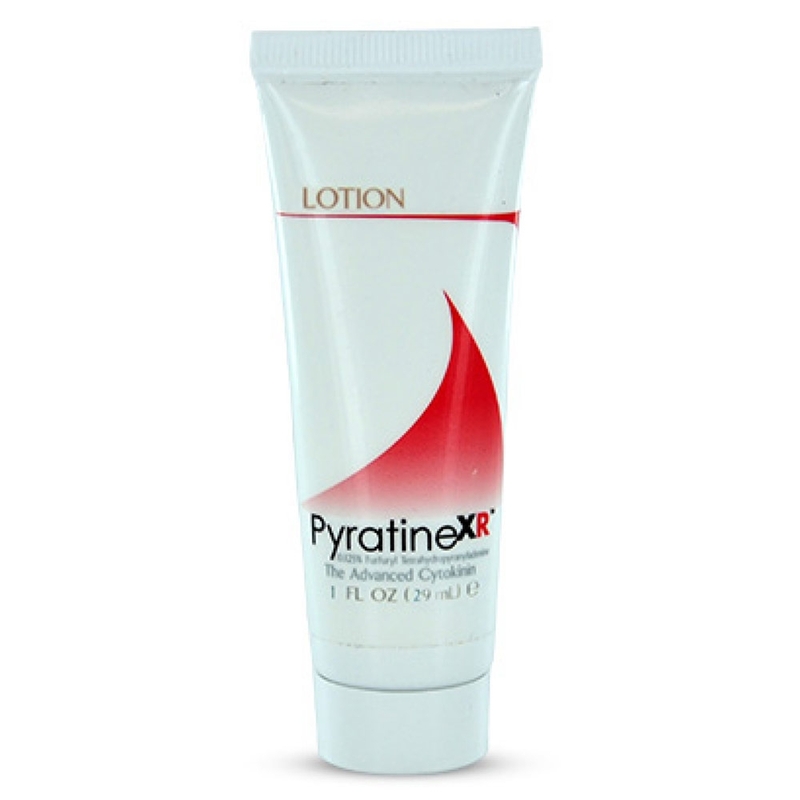 PyratineXR Lotion is formulated using advanced cytokinin technology. Cytokinin is a single plant extract, which has been known to help slow the ageing process and reduce inflammation caused by skin conditions like rosacea and acne. The ingredients in the lotion also work to restore the skin barrier function, which helps reverse sun damage and improve overall appearance of the skin. 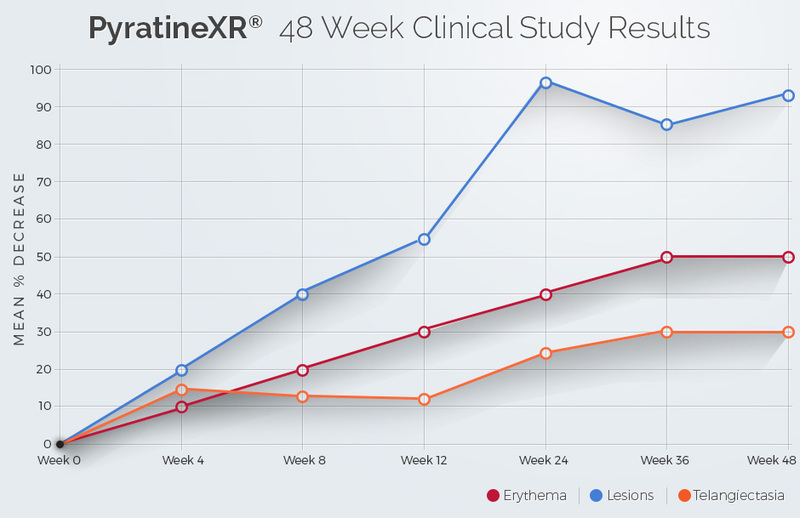 What medical professionals say about PyratineXR? How to use this lotion? The best thing about PyratineXR Lotion is that it can easily fit into your daily skincare routine. Apply the lotion on your face after properly cleaning your face with mild cleanser. Use it twice a day for maximum benefits. As the lotion quickly absorbs into the skin, you can apply make-up straight after use. Aqua(Water), Glyceryl Stearate & PAG 100 Stearate, Stearyl Alcohol, Propylene Glycol, Carthamus Tinctorius (Safflower)Seed Oil, Cetyl Alcohol, Ethylhexyl Hydroxystearate, Furfuryl Tetrahydropyranyladenine, Dimethicone, Sodium Benzoate, Carbomer, Glycone Soja (Soybean) Sterols, Treithanolamine, Panthenol, Sodium Hydroxide, Disodium EDTA, Tocopheryl Acetate, Aloe Barbadensis Leaf Extract, Chamomilla Recutita Flower Extract, Royal Jelly Extract, Ascorbic Acid, Phenoxyethanol, Methylparaben, N-Butylparaben, Ethylparaben, N-Propylparaben, Iso-Butylparaben. You can simply place your order for PyratineXR Lotion by clicking on ‘Add to Basket’ option. Remember if you place your order before 4 pm on any working day, your product will be delivered to you the very next day.